Posted By:Unknown | At:1:53 PM Be the first to comment! 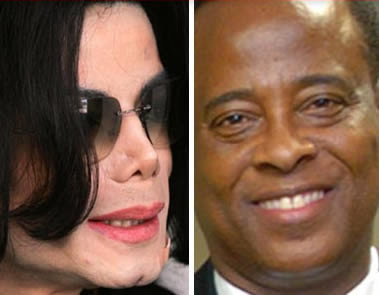 Boy, the judge was not playing the radio with Dr. Conrad Murray when he sentenced him to four years of prison for the involuntary manslaughter of the 'King of Pop'. (CNN) Dr. Conrad Murray was sentenced Tuesday to four years in jail -- the maximum sentence allowed under the law -- in the death of Michael Jackson. Judge Michael Pastor, in a lengthy statement delivered before sentencing Murray for involuntary manslaughter, said he felt a significant responsibility to determine the appropriate sentence, utilizing his "sense of fairness and decency." "There are those who feel Dr. Murray is a saint," he said. "There are those who feel Dr. Murray is the devil. He's neither. He's a human being. He stands convicted of the death of another human being." Pastor said that while he had considered the entire "book" of Murray's life, he also had "read the book of Michael Jackson's life." "Regrettably, as far as Dr. Murray is concerned, the most significant chapter, as it relates to this case, is the chapter involving the treatment, or lack of treatment, of Michael Jackson." Jackson died "not because of an isolated one-off occurrence or incident," Pastor said. "He died because of a totality of circumstances which are directly attributable to Dr. Murray ... because of a series of decisions that Dr. Murray made." Murray, he said, became involved in "a cycle of horrible medicine." He cited Murray's "pattern of deceit and lies. That pattern was to assist Dr. Murray." A tape recording of Jackson's slurred voice was Murray's "insurance policy," Pastor said. "It was designed to record his patient surreptitiously at that patient's most vulnerable point. I can't even imagine that happening to any of us because of the horrific violation of trust." He said he wondered whether that tape would have been offered for sale, had Jackson not died and a rift had developed between the two in the future.